Baume & Mercier perfectly capture the desire for classic simplicity with a contemporary edge with this automatic men's strap watch. A classic blue strap is teamed with a sleek stainless steel case, set with a two colour dial featuring accents of red detailing. Fresh and sharp, this is the perfect timepiece for the modern man. 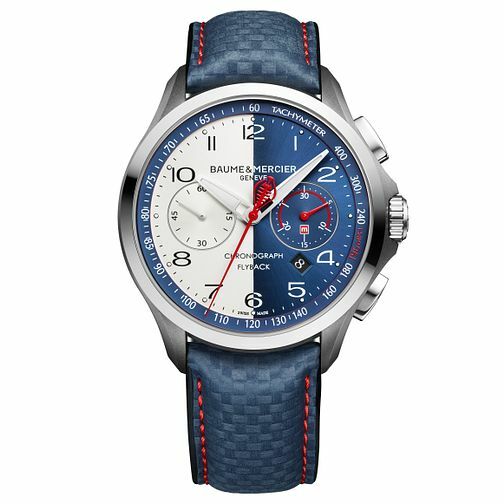 Baume & Mercier Clifton Club Shelby Cobra Men’s Strap Watch is rated 5.0 out of 5 by 1.